Large-scale neutral hydrogen distribution and mean velocity field of the Circinus galaxy taken with various arrays of the ATCA. The Australia Telescope Compact Array Broad-band Backend: desecription and first results. Marconi et al. 1994 (see their Fig. 10). Image size= ?? arcsec x ?? arcsec. 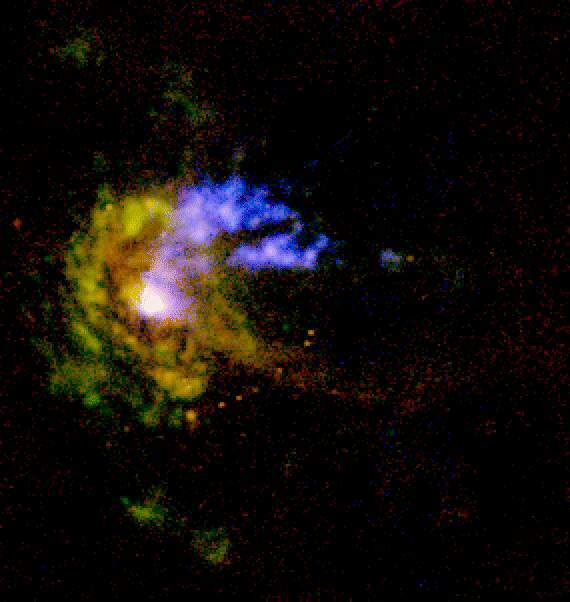 Right: Chandra X-ray image of the inner portion of the Circinus galaxy by Bauer et al. (2000, in prep.). Image size= 80 arcsec x 80 arcsec. In both images North is to the top and East to the left. 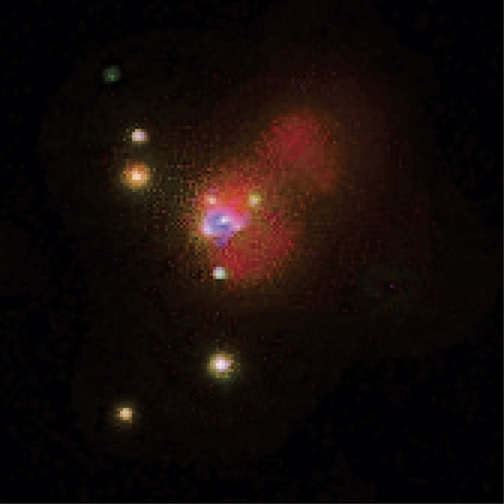 Left: Chandra X-ray image (as above, but rotated). Wilson et al. (2000, in prep.). 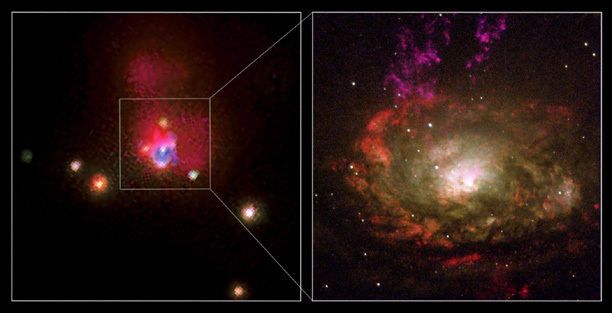 Both images are rotated by about 65 degrees with respect to North-East.